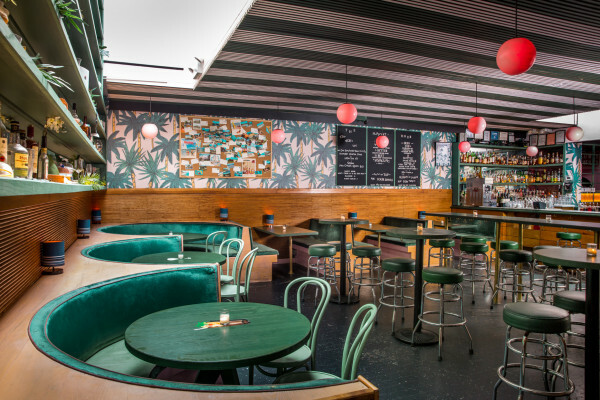 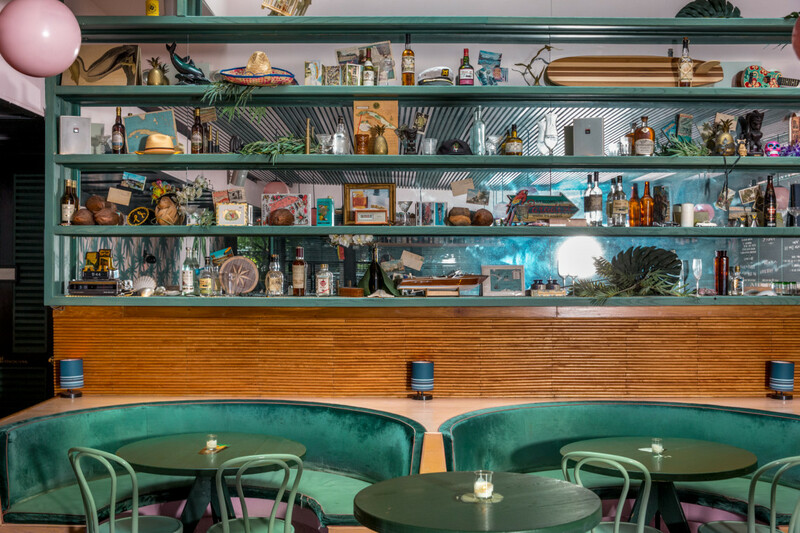 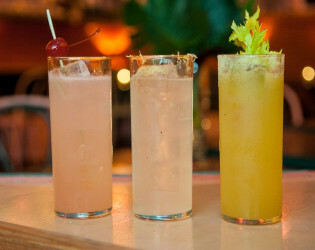 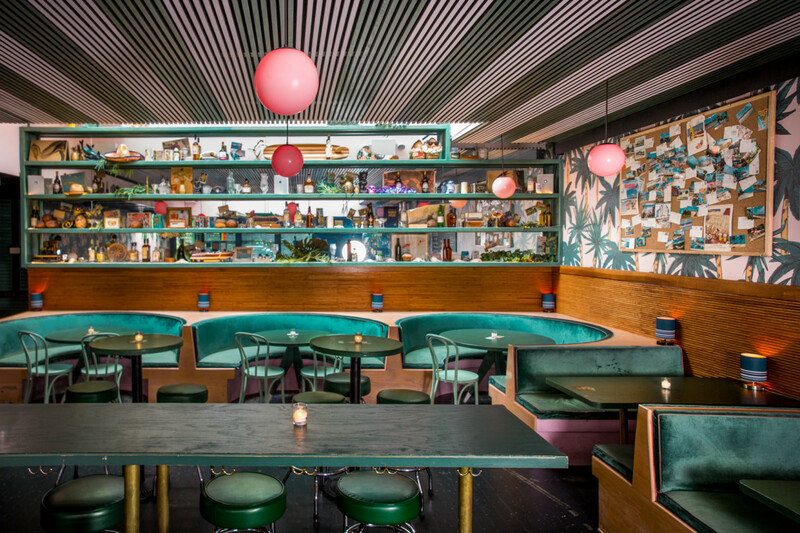 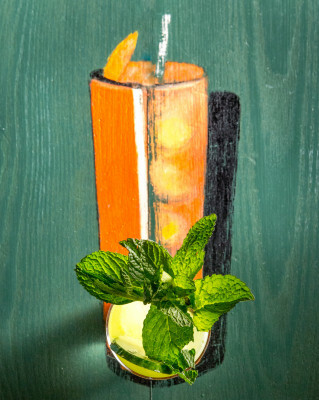 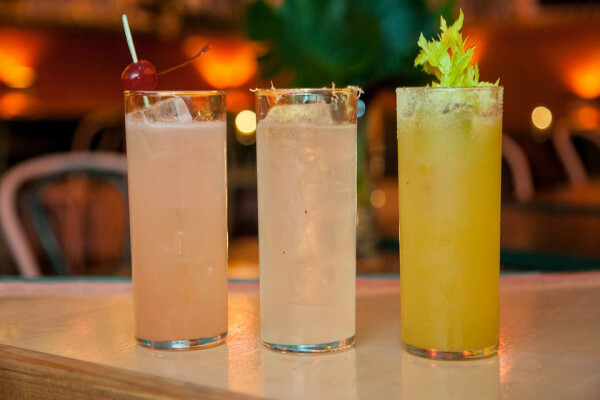 Live whimsically at this breezy cocktail bar and restaurant. 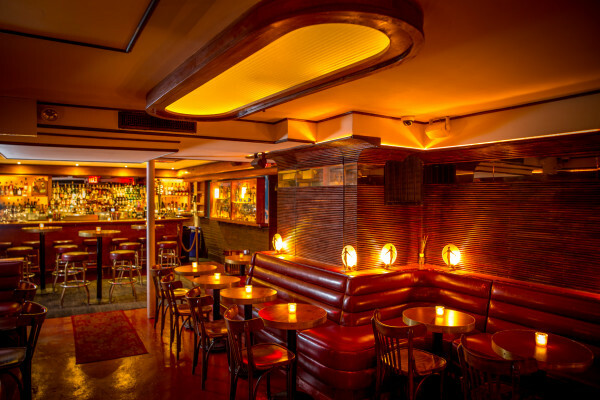 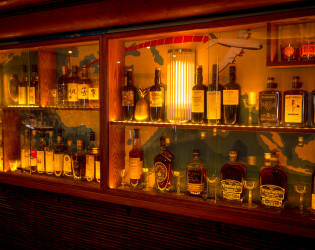 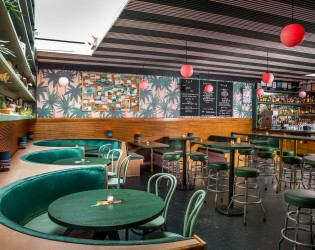 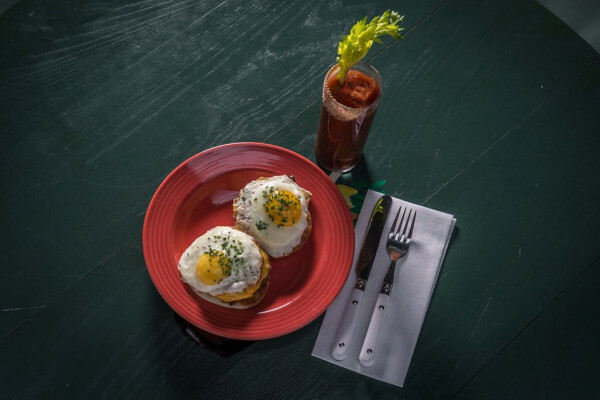 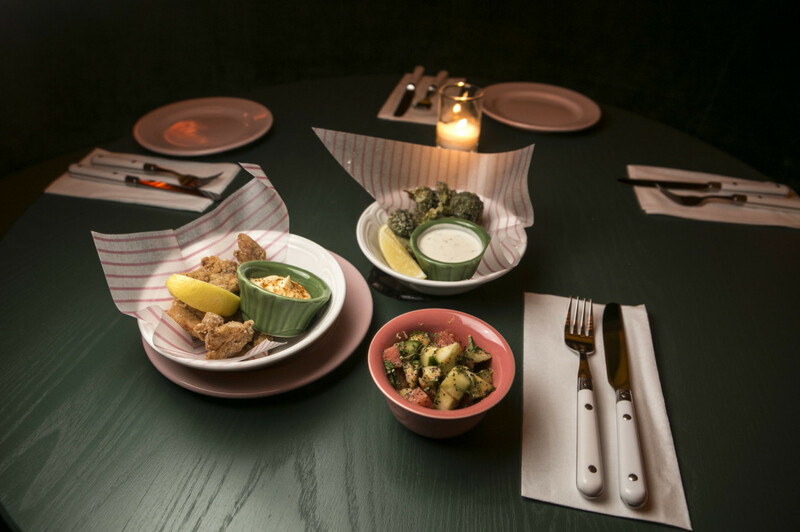 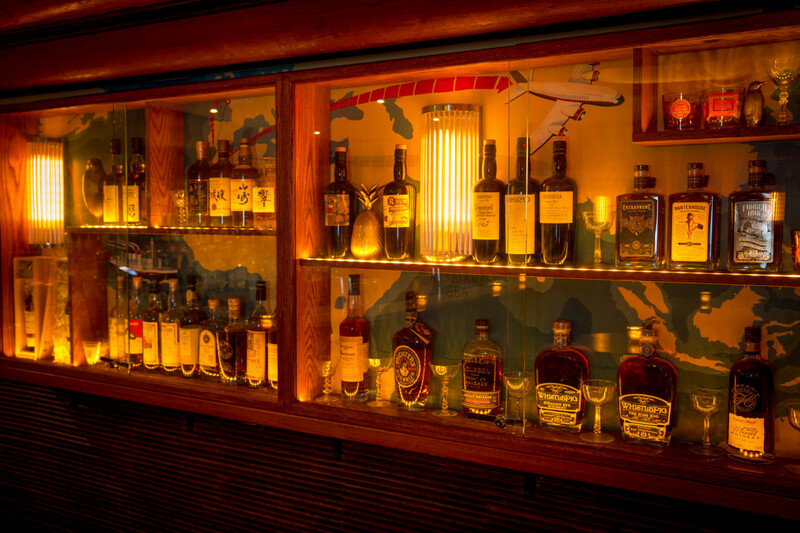 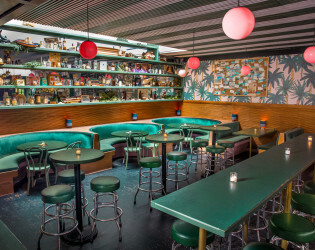 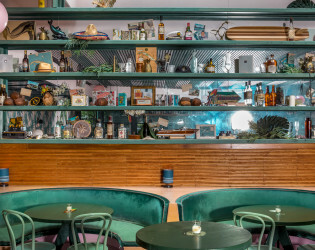 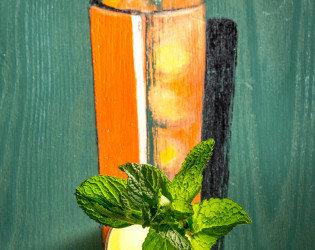 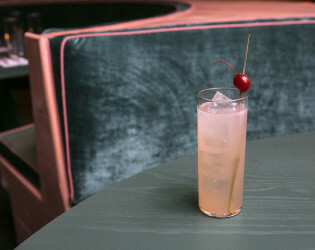 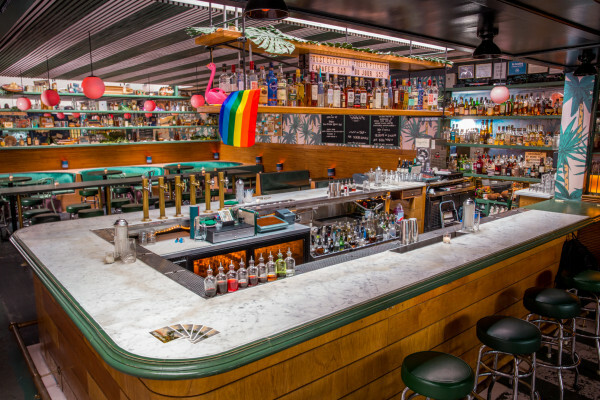 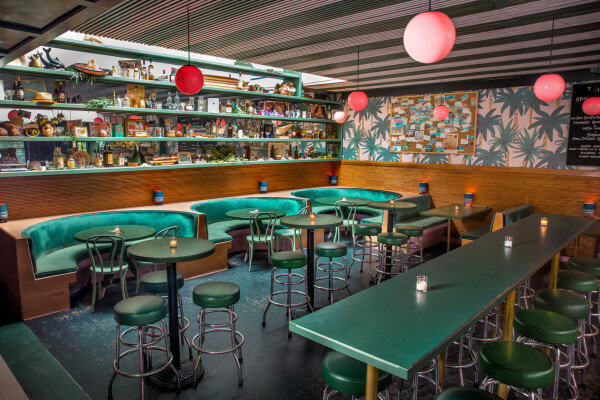 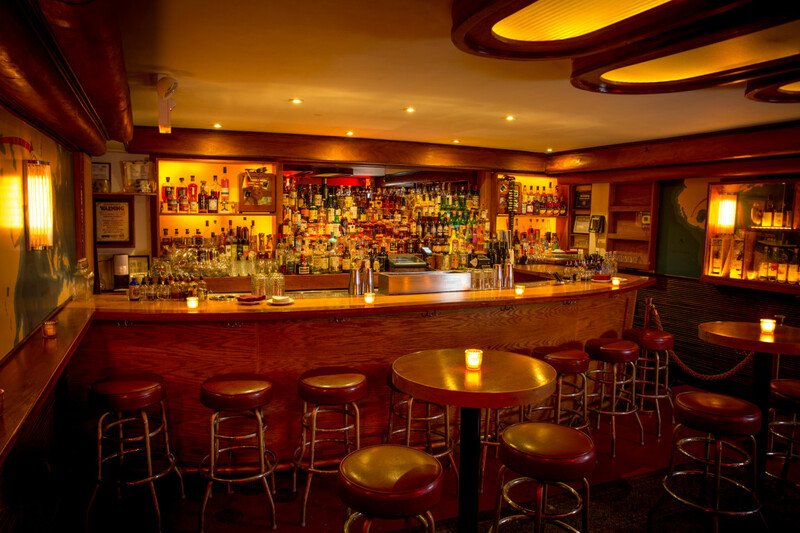 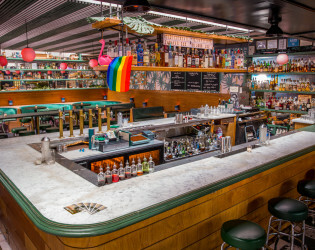 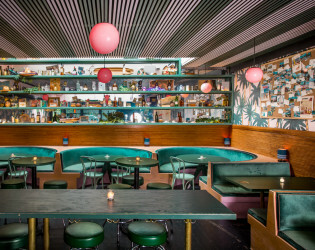 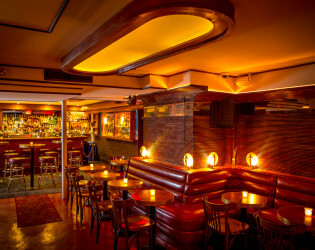 Diner-style fare with an upscale twist and a non-judgmental attitude has made this New York eatery-drinkery evokes a charming nostalgia. 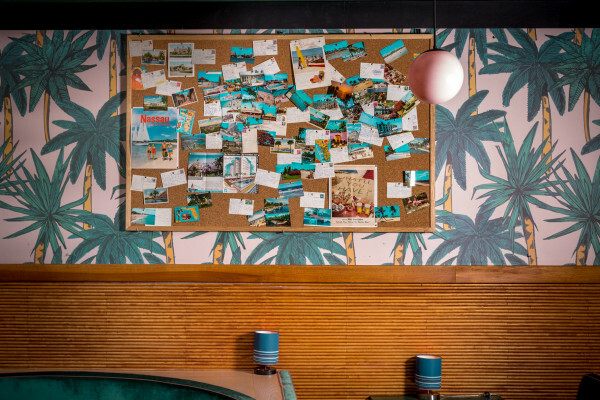 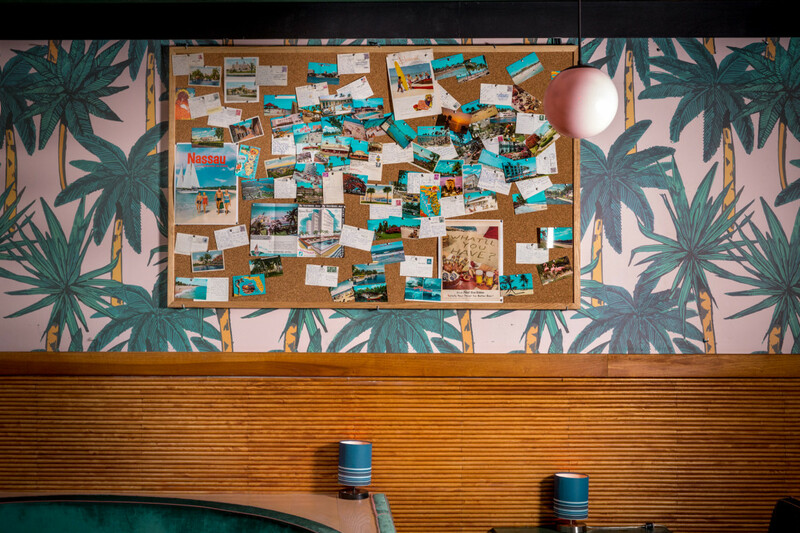 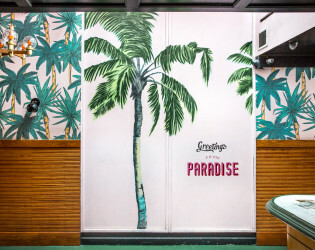 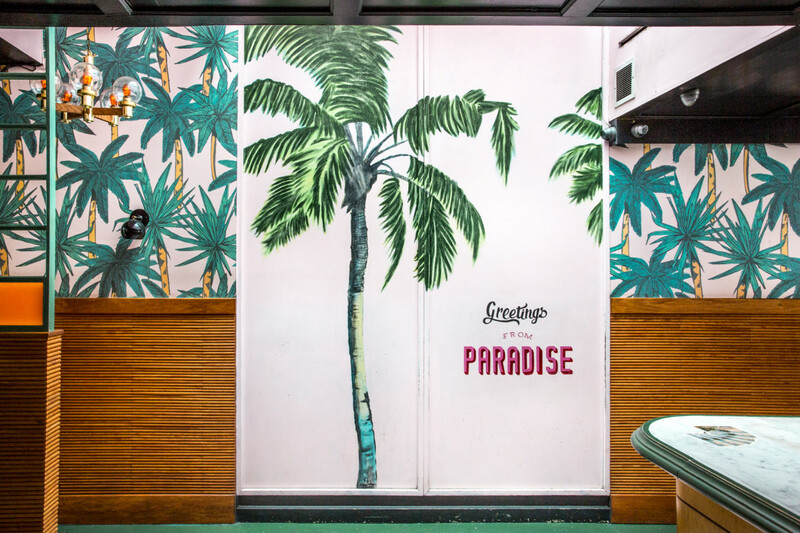 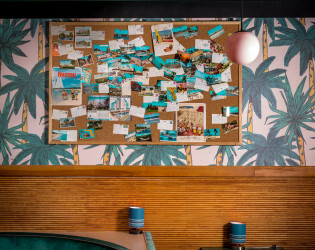 Complete with cartoon palm trees, a la old-school California and Florida resorts, this elevated rock ‘n roll dive is your new favorite. 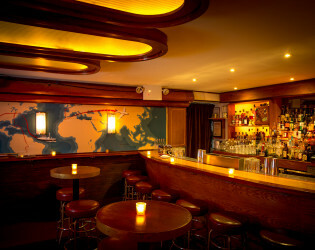 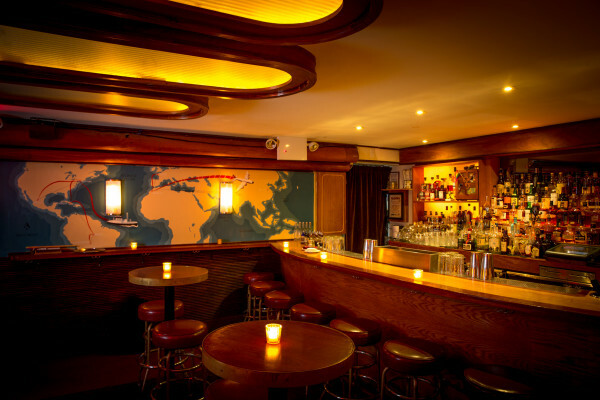 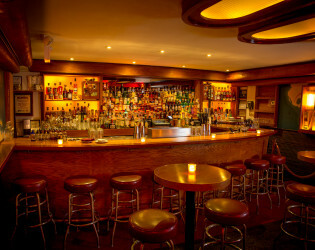 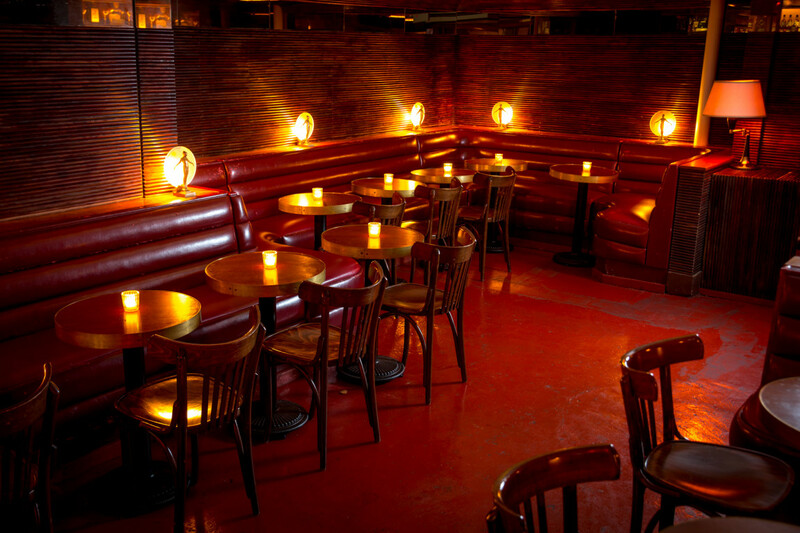 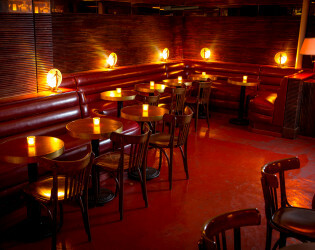 The Happiest Hour hosts a variety of private events in both the ground-floor restaurant and Slowly Shirley, the downstairs lounge. 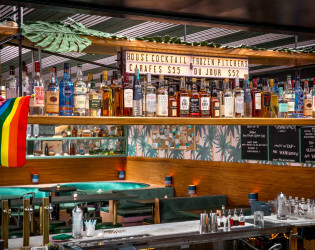 Buyout packages feature a offering which includes premium open bar, specialty cocktails, red and white wine, beer and passed appetizers. 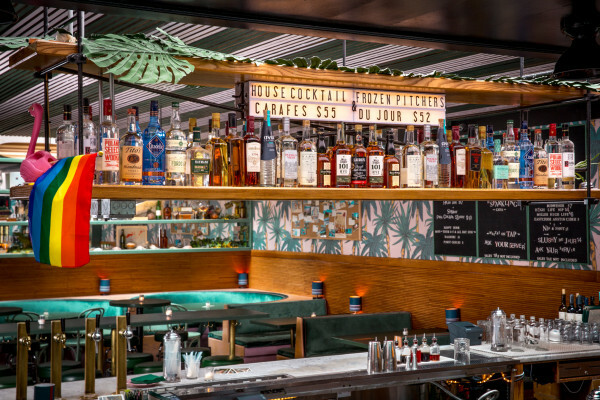 Rather than a price per person, our buyout price structure is a reflection of closing costs/displaced income for a specific time frame on a given day of the week. 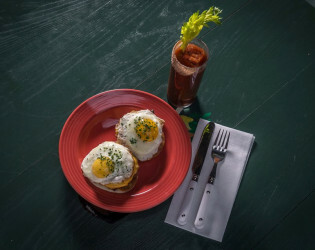 To each base cost, there will be an additional fees: Administrative fee (4% of base cost), tax (8.875%), and staff gratuity. 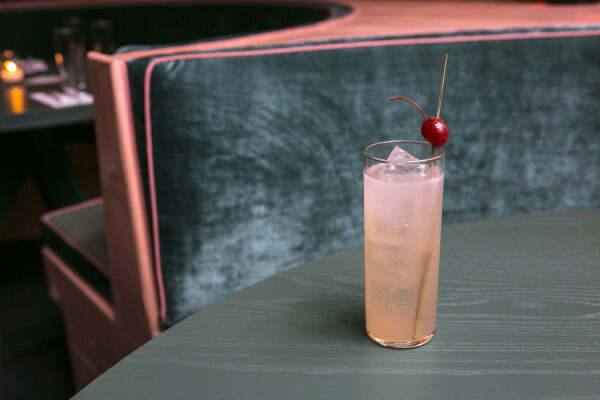 The Happiest Hour is a whimsical new cocktail bar and full-service restaurant by Acme’s Jon Neidich and veteran New York bartender Jim Kearns. 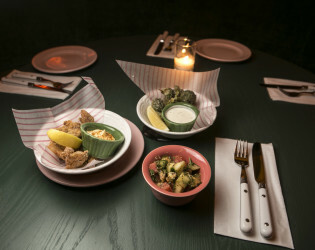 Chef Thomas Lim serves elevated diner-style fare anchored by a stellar burger complemented by an array of sides.